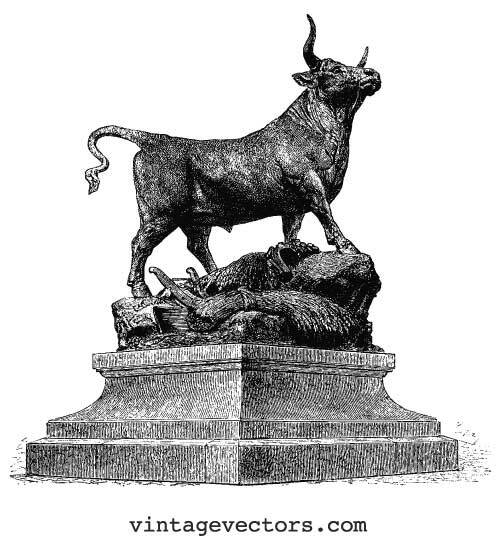 Bull vector art statue with horns – a powerful icon of financial strength. He’s looking up, posing on top of an arrangement of rock, wooden plow and sheath of wheat – all atop a square, stone pedestal. Vectorized from a confirmed public domain source, this freebie download can be used in both personal and commercial works.